The Vision of Daniel by Willem Drost, ca. 1645. 245 people in our community are currently praying with you. Jacob and the Angel by Giordano Luca, ca. 1694. 1) In this long parable, Christ indicates that something which God has given us will be taken away from those who do not use it and increase it. He does not tell us exactly what He is talking about; this is a parable and left for us to hear the meaning. So we have to interpret, which is often a red flag for reading something into the Bible that isn't there, indulging our preconceptions and bias. With a parable, however, the rules are different. Interpretation is invited, even required. 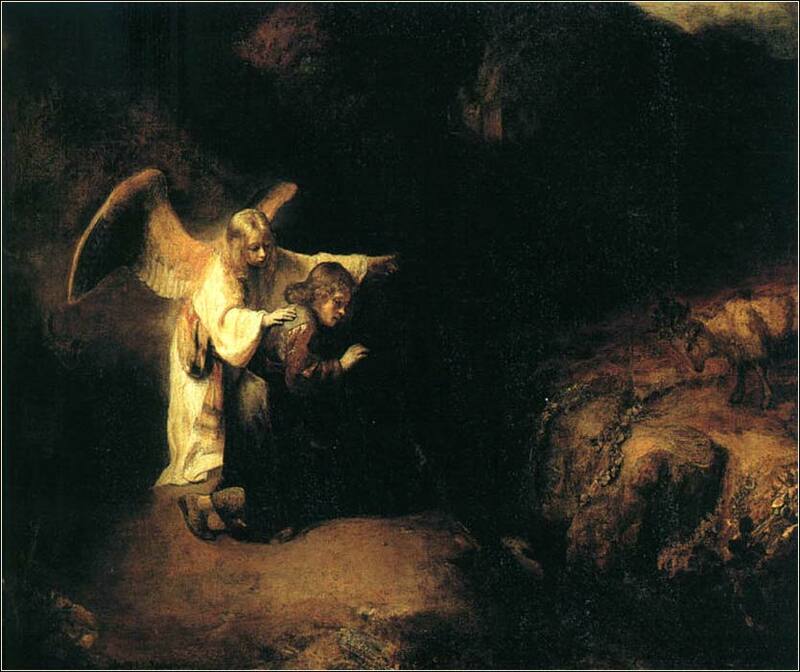 The servant is cast into the outer darkness, a consistent symbol of alienation from God. Christ is “the Light of men”. (John 1:4) So, it appears that the servant is removed from Christ's grace. The controversy over whether a person who has been “saved” can forfeit his salvation is a heated topic of discussion among Christian theologians and is a major doctrinal issue in many denominations. There is no black-and-white answer. Many passages, especially in the epistles (e.g. Romans 11:28-29), can fairly be read to imply that there is one, permanent, and irrevocable forgiveness for our sins. But other passages (e.g. Revelation 3:16) can be fairly read to imply that salvation is a living relationship with Christ that can be lost; and this is one of them. We cannot be timid in our witness of Christ. We cannot say, “I do not know what to do” or “I am afraid I might say the wrong thing.” The clearest message of the parable is that Christ is telling us, without any doubt, that He expects us to do something with our various resources to increase his kingdom. 3) The final lesson of the parable sounds harsh and foreign to us, but Christ repeats it in other contexts and we must take it as a firm teaching: those with much will gain even more, while those with little will lose what little they have. The servant with one talent must give it to the servant who already has ten talents. He is speaking about spiritual riches, of course. It does not matter how modest our talents are; whatever contribution we can make is valuable to Christ.